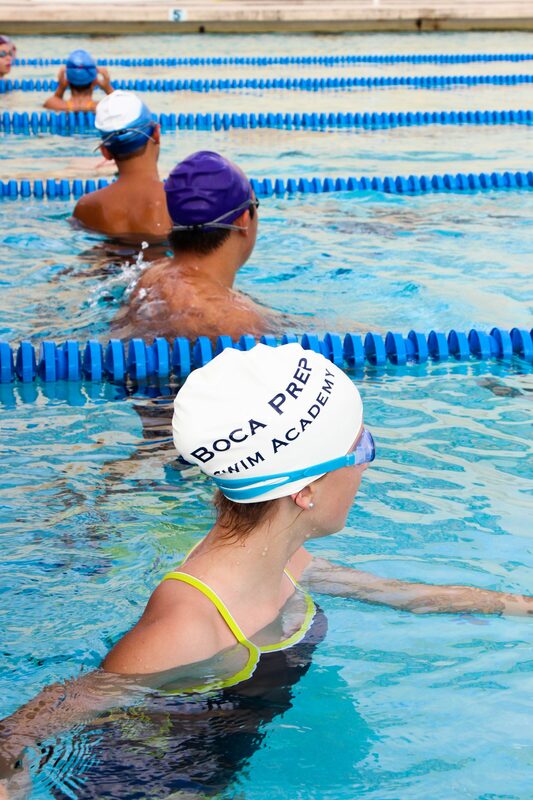 The Boca Prep Swim Academy gives students the opportunity to focus on a sport, and develop from proficiency to excellence. Our training sessions are designed to build a setting that encourages self confidence, endurance and speed, while also improving technique. Our vision is to maximize the development of our swimmers. Boca Prep Swim Academy achieves this by combining daily training of the highest quality with swimmers that are both determined and focused on their goals. Our coaches are prepared to assess and help each individual member of the academy enhance their strengths and improve their weaknesses in order for them to perform at the highest level. Pool training will be supplemented by dryland cross-training. Dryland training improves overall athletic strength, stamina, conditioning, fitness, and flexibility. Better all-around athletes make better swimmers. The dryland program will focus on those activities and exercises that most directly improve swimming performance. Dryland training will occur on the fields, on the track, in the gymnasium, and in the fitness center. Our fully temperature-controlled swimming pool is the main training facility for the swim academy. It is an 8-lane, 25-yard competitive pool equipped with starting blocks and all the needed competitive apparatus. The state-of-the art temperature control system provides warmer water during the cooler months and then cools the water during the hotter months, so the ideal training temperature can be maintained at all times of the year. 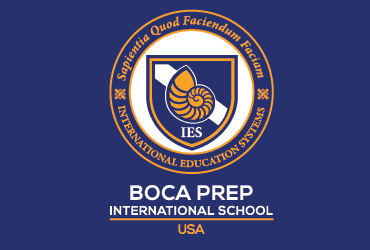 Boca Prep International School also integrates USA Swimming Competition, which is a great advantage for swimmers wanting to take their performance to collegiate levels. The morning swim performance serves as the pool training apart for Boca Prep Swim Academy (USA Swimming Affiliation), as well as implements two weekday afternoons for on-land strength training. This includes body stabilization, flexibility work for injury prevention, and weight lifting. All student-athletes in the swim performance have the option to register with USA Swimming to compete in travel meets. This unique program allows students to sleep in longer before training, as well as offer the convenience of having their studies right there on site. It’s a great atmosphere that can truly prepare student-athletes for the college setting and lifestyle. The Swim Academy is facilitated by Coach Kristin Gilliam. Kristin Gilliam, “Coach K”, graduated from University of Florida where she studied Recreation and Sports Management. 2016-2017 top times list for student-athletes in the swim performance program. Coach Kristin is the Founder and Director of KISO Swim School, which uses the Boca Prep swimming pool as one of its locations. KISO Swim School offers classes for all ages & abilities, from learn-to-swim group classes to private technique oriented classes. 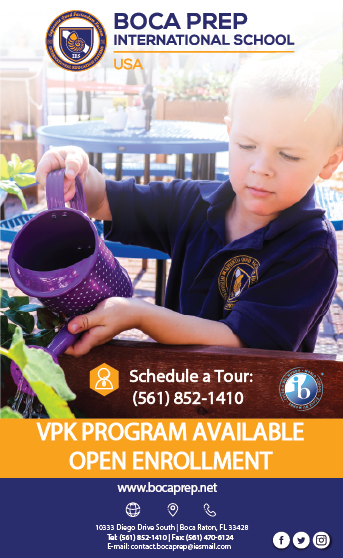 The swim school offers all Boca Prep Students a small discount with each registration. Additionally, all new clients may use code “SWIMSWAM” for first-time registration. To view the session date schedule, class times and register, please visit www.kisoswim.com. We look forward to the opportunity to teach you or your child swimming skills! KISO Summer Swim Camp: Please visit http://www.kisoswim.com/#!swim-camp/jgziy for more information. To learn more about USA Swimming Club please CLICK HERE.